How quickly a pet ages depends on many different factors. The pet's genetic heritage, weight, overall health, underlying diseases and cardiovascular condition all contribute to a pet's aging. 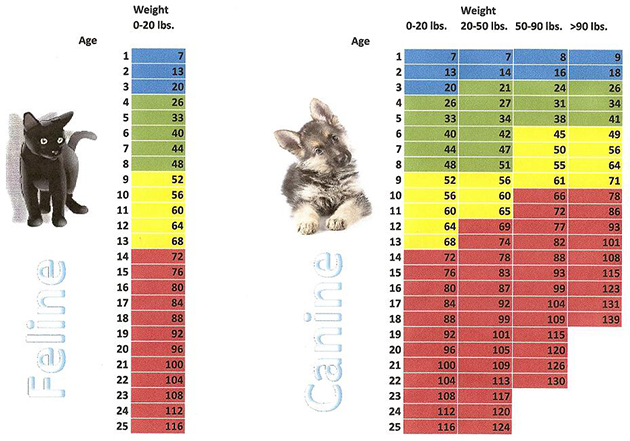 This chart provides a rough estimate of how a pet's weight and age combine to approximate "human years". The pet's age is listed along the left side of the chart, the pet's weight at the top and the approximate "human age" is listed within the chart.